PENSACOLA, FL. 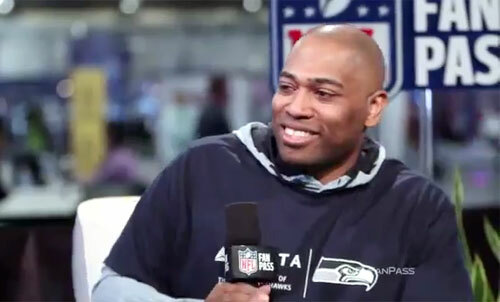 — Former Seattle Seahawks running back, Shaun Alexander, was the guest speaker on Weds. March 18 at the 61st annual Pensacola Sports Association Awards banquet. The banquet honored 2014 athletic achievements from team, coaches, athletes and those connected with Pensacola area sports. The banquet also honored 2014 athletic achievements from team, coaches, athletes and those connected with Pensacola area sports. The event was held at the Sanders Beach-Corrine Jones Community Center. Source: pjn.com. CHATTANOOGA, TN. 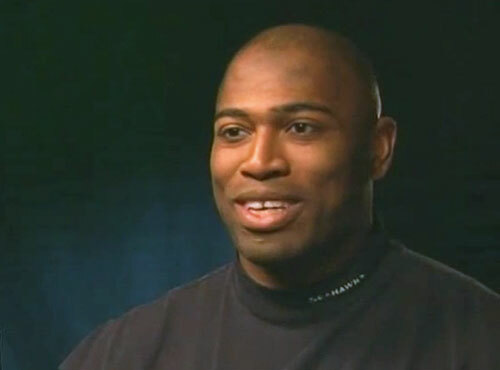 — Former Alabama and Seattle Seahawks running back, Shaun Alexander, is scheduled to be the keynote speaker at the annual Fellowship of Christian Athletes “Road to Victory” Banquet to be held Tuesday, February 17 at 6:30 p.m. at the Chattanooga Convention Center. Source: Chattanooga.com. 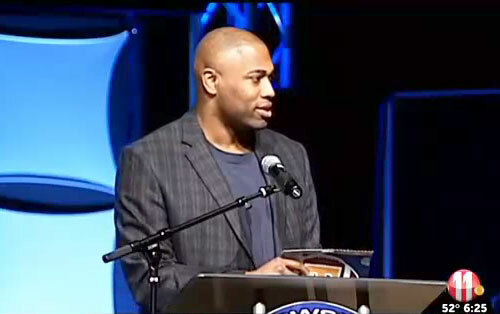 JOHNSON CITY, TN — Leading Alabama rusher and former Seahawks running back Shaun Alexander was the guest speaker on Weds. Nov. 5, 2014 at the annual Fellowship of Christian Athletes fundraising luncheon in Johnson City, TN. The three-time pro bowl selection who’s been a part of FCA since he was in high school, feels some of the NFL’s problems surround a few guys on the wrong path. Source: Kenny Hawkins, wjhl.com. 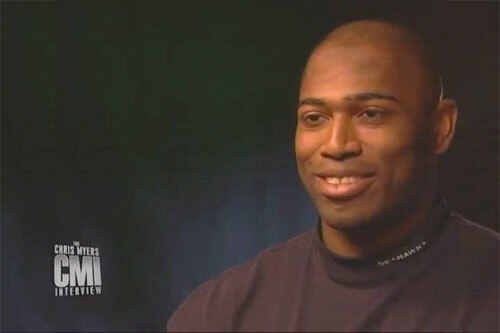 Photo shows former Seahawks runnung back Shaun Alexander speaking on Weds. Nov. 5, 2014 at the annual Fellowship of Christian Athletes fundraising luncheon in Johnson City, TN.